Buy fractional shares of 1,000+ stocks and ETFs. Free sign up, 99¢ per trade. No monthly fees or minimums. Instead of having to buy an entire share, invest any amount you want. Download the Stockpile app and master the market with our fun mini-lessons. Stockpile is the only brokerage where you can give an e-gift or physical gift card redeemable for stock. You don't need an account to give a gift. Kids and teens can track their stocks 24/7 and place trades that you approve. They can even share a wish list of favorite stocks with family and friends. Many top stocks are pricey, which makes it hard to get started. Take Amazon, at $1000 a share. At Stockpile, you can buy fractional shares. Buy $50 of Amazon and get 0.05 shares. Browse the stocks we offer. Then link your bank and move money in so you have cash on hand when you want to make a purchase. Once you open a trading account, you can buy and sell stock whenever you want. Your stock will go up and down with the market. If you buy 0.5 shares for $50 and the stock goes up 10%, your shares will be worth $55. We charge 99¢ per trade, a lot less than traditional brokerages charge. 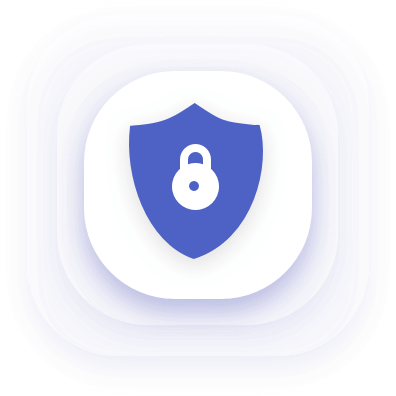 Stockpile protects your sensitive personal information using 256-bit encryption. Stockpile Investments, Inc. is a member of the Securities Investor Protection Corporation (SIPC), which protects customer accounts up to $500,000 (including $250,000 of cash). Explanatory brochures are available at www.sipc.org. Stockpile Investments, Inc. is also a member of Financial Industry Regulatory Authority, Inc. (FINRA). Check the background of Stockpile on FINRA’s BrokerCheck. Our universe includes more than 1000 stocks, ADRs, and ETFs, including every stock in the S&P 500. You can access our universe by clicking on the Buy Stock dropdown on our home page and clicking buy stock for yourself or give an e-gift of stock. There, you'll be able to browse stocks by category. Or type the company name or stock symbol in the search box at the top right of the page. You can even enter a brand you know (ESPN, for example) to pull up the stock that's behind it (Disney). We're constantly adding stocks to our universe, including companies that have IPOd. 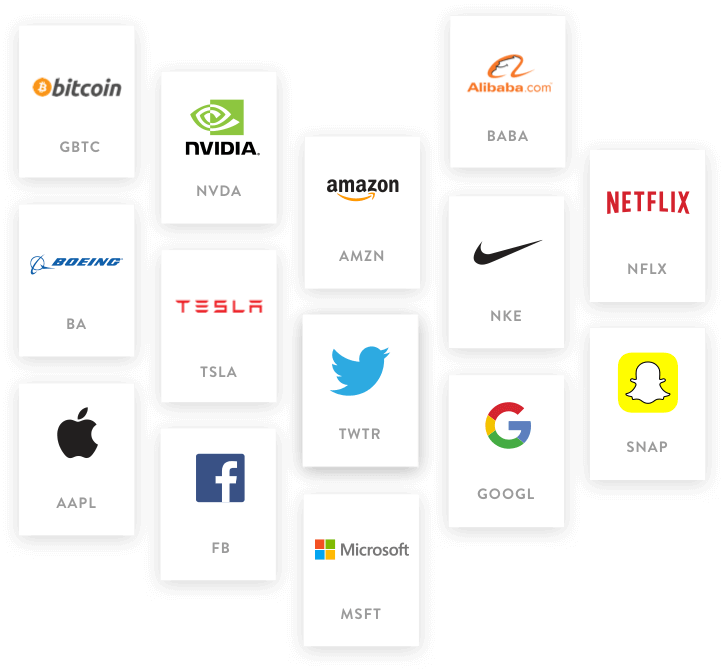 If there's a stock you'd like to buy, email support@stockpile.com and we'll see if we can add it. There are some stocks we don't carry. These include penny stocks, bulletin board securities, pink sheet stocks, foreign ordinaries, and stocks trading below $6.00 per share. The reason is fraudsters often gravitate to these stocks because they're easier to manipulate due to their low trading volume. An ETF, short for “exchange traded fund,” is an investment fund that holds assets such as stocks, bonds, or commodities such as gold bars, or invests in a collection of stocks that track a market index like the S&P 500. The ownership of an ETF is divided into shares that are owned by shareholders who receive a share of the profits, such as interest or dividends. At Stockpile, You can buy an ETF which enables you to invest in market index or a commodity like gold. To see the list of ETFs we offer, click here and select ETF category from the top. We also offer ADRs (American depositary receipts), which allows you to own shares in foreign companies like Porsche. There are two ways to move cash between your Stockpile account and your bank account. The first way (linked bank) enables you to move cash in and out of your Stockpile account. It takes 3 business days for the cash to show up, and it's free of charge. The second way (debit card) allows you to move cash in instantly, for a small fee. We recommend all Stockpile customers to set up a bank link ahead of time so it's there when you need it. With a linked bank, you can transfer cash for free anytime you want. To link your bank account, you'll want to be sure it's a checking account. Click on "Cash & Stock" on the left panel in your dashboard (or just click here: link your bank). When you see the "Link Bank Account" tile, click on "Link Bank." Choose your bank from the list, and if you enter your ID and password successfully, your bank will be linked! If you don't see your bank listed, click on "I have a different bank" and enter your bank's routing number and account number. At Stockpile, you can buy stock using a credit card or debit card. 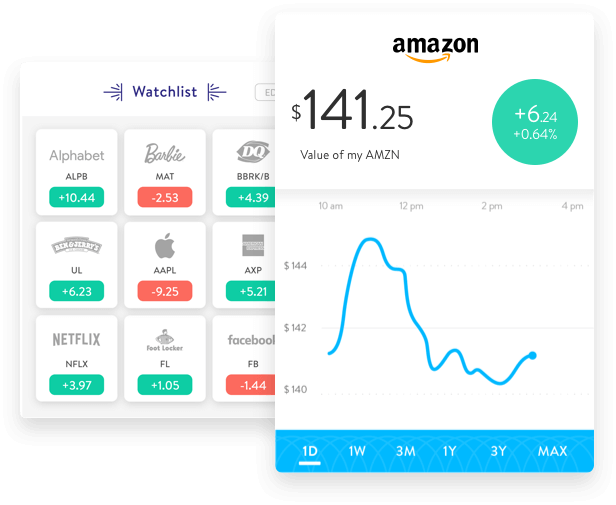 Here's how: If you're new to Stockpile and don't have an account yet, pick a stock and dollar amount, pay using your debit or credit card, and sign up for an account to hold your stock. If you do this on a weekday before 3 pm ET, you'll have your stock by dinnertime. It's the fastest way ever to buy stock! If you already have a Stockpile account, just sign in and choose “Buy Stock”. It will give you option to buy stock using credit card, debit card, or cash at the time of checkout. Yes! Starting early and investing regularly helps you reap the magic of compounding. Here’s how you can schedule automatic deposits from your bank to help you do that. Go to your Settings, tap on Account, then Auto Deposit. 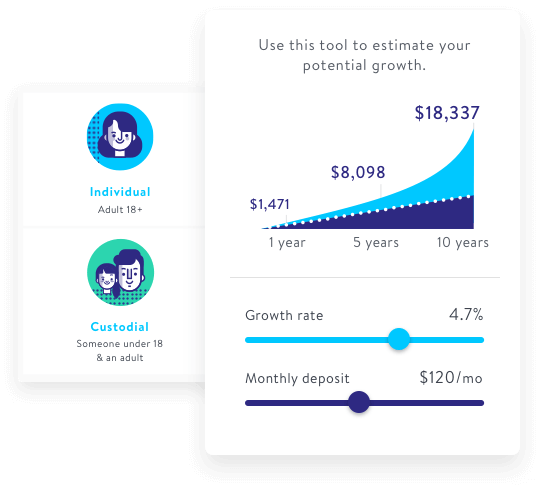 Play with our growth calculator to estimate your potential wealth. Choose the frequency and amount of your deposit, and you’re all set! There are no monthly fees or account minimums to create and maintain your stockpile account. It's absolutely FREE to own investment account at Stockpile. You only pay 99 cents to buy stock with cash in your account. Learn more about transaction based fees at Stockpile. You can create an account for your kids. They just need to have an adult on the account with them, usually mom or dad, but it can be a grandparent, aunt, uncle, or other adult. This kind of account is called a custodial account. The kid or teen (referred to as the minor or beneficiary) owns the stock, while the adult (the custodian) has legal responsibility over the account. Once the minor is of age, the assets in the custodial account legally belong to her. We can help her open an individual account and transfer the assets from the custodial account into the new individual account. What will she do next? We think she will be thanking you profusely for having had the foresight to open a custodial account and invest in her future! Create or add a new custodial account today. You sure can. Even better, we do it for free! If a company issues a cash dividend, it will normally show up as cold, hard cash in your Stockpile account. For example, if you own half a share of stock and the company issues a cash dividend of $4 per share, you’ll receive $2 of cash in your account. 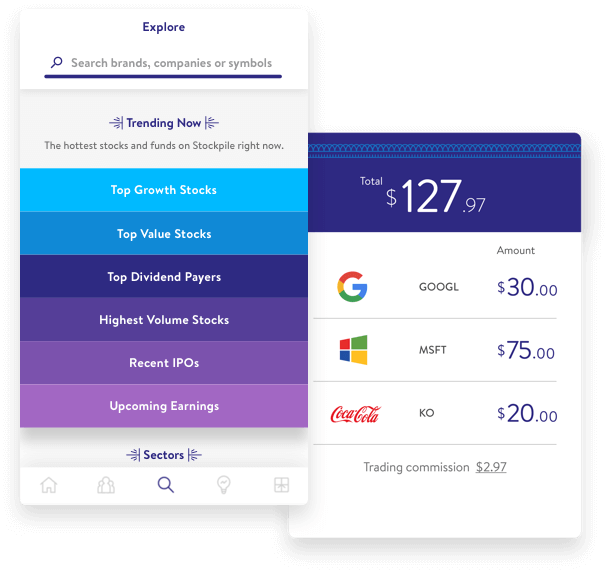 At Stockpile, you have the option to reinvest your dividends — in other words, you can plow them back into your stock so you own more shares, and we don't charge you a trading commission. Once you're signed up for dividend reinvestment, you'll see your number of shares go up every time a company issues a dividend. And it'll happen automatically for all the stocks you own, free of charge (except, of course, for any companies that have already announced dividends for the current quarter). If you have multiple accounts, you can do this for any or all of the accounts. Don't see the answer to your question? See full FAQ or contact us. Stockpile gift cards. Stockpile gift cards are issued by Stockpile Gifts, Inc. A Stockpile gift card has a fixed value and is redeemable for stock. It is not a stock or other security, or a recommendation to buy any specific stock or other security. If you redeem a Stockpile gift card for a security, you will receive fractional shares whose value will go up and down with time. If you do not have a Stockpile Investments brokerage account, you must apply and be approved for one. Until then, you will not be a customer of Stockpile Investments and we will not transfer your gift card value to our clearing firm to purchase stock for your benefit. You must be a U.S. resident to open a brokerage account or redeem a Stockpile gift card for a security, but you need not be a U.S. resident to purchase a Stockpile gift card. If you are under 18, you will need to open your account with an adult. Unredeemed Stockpile gift cards are not securities. They are held in your prepaid account at Stockpile Gifts. Securities products are: Not FDIC insured · Not bank guaranteed · May lose value. Securities in your account protected up to $500,000. For details, please see www.sipc.org. If you do not already have a Stockpile Investments brokerage account, you must apply and be approved for one before your gift card can be redeemed for stock. Until your account has been approved and opened, you will not be a customer of Stockpile Investments and we will not transfer your gift card value to our clearing firm to purchase stock for your benefit.